HOTEL REHE - PLENTY OF OPPORTUNITIES! Hotel Rehe is waiting for You at the end of Võru Street in Tartu. The hotel opened its doors on January 6 in 1995. Hotel Rehe belongs to the public limited company AA-LAN, the sole owner of which is Allan Unt. The 27 hotel rooms can accommodate 65 guests. Restaurant, seating up to 90 people, is suitable for arranging parties, banquets and receptions. A very popular place is the billiard room. 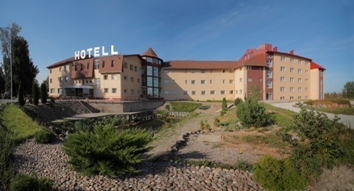 The hotel has a large guarded parking lot, suitable also for travellers with a caravan. Friendly staff and plentiful options are characteristic of hotel Rehe. WELCOME TO HOTEL REHE !